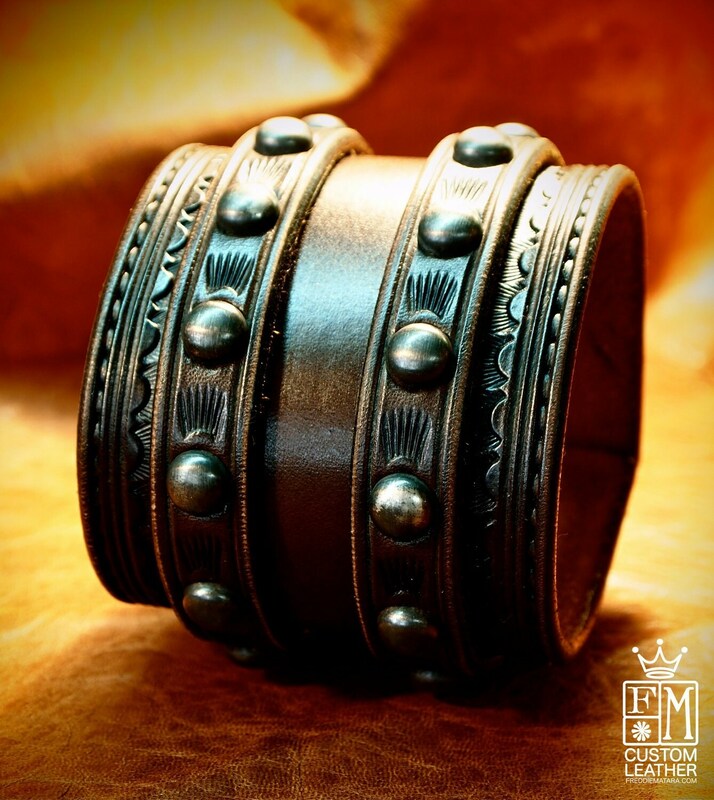 This Brown leather wrist cuff uses natural vegetable-tanned leather. It is Hand tooled,scribed,edged,studded and stamped with an original border design and Antiqued silver conchos spots. 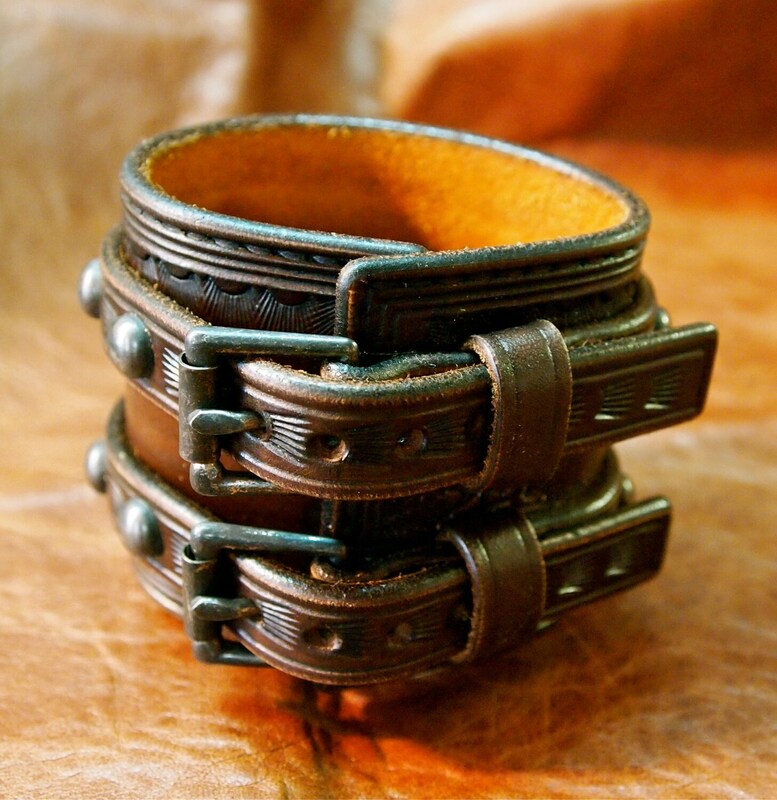 2-3/4" wide and runs 2 studded straps over the main cuff . It is finished in dark brown saddle dye, distressed and hand polished creating a unique vintage look. 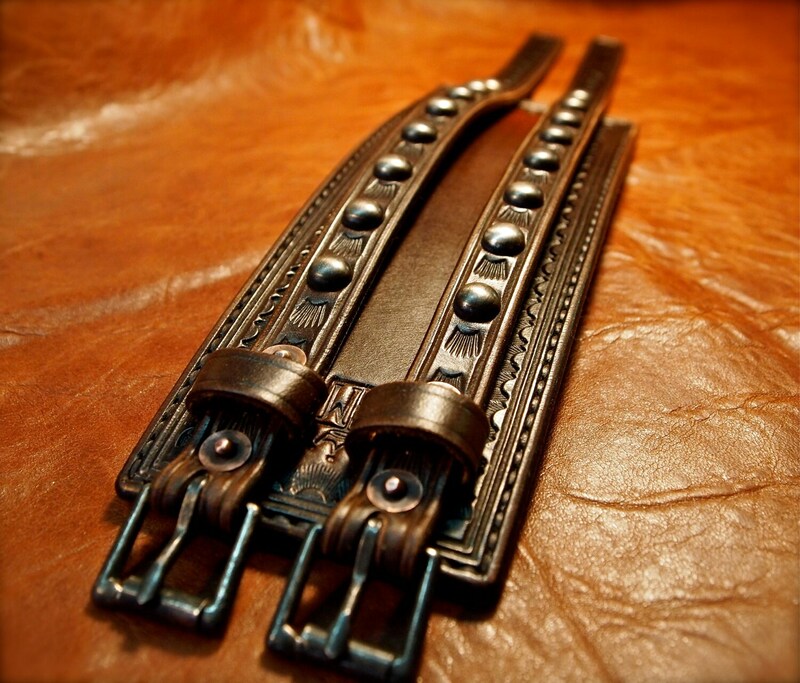 Aged nickel buckles and vintage copper rivets provide the closure!!! 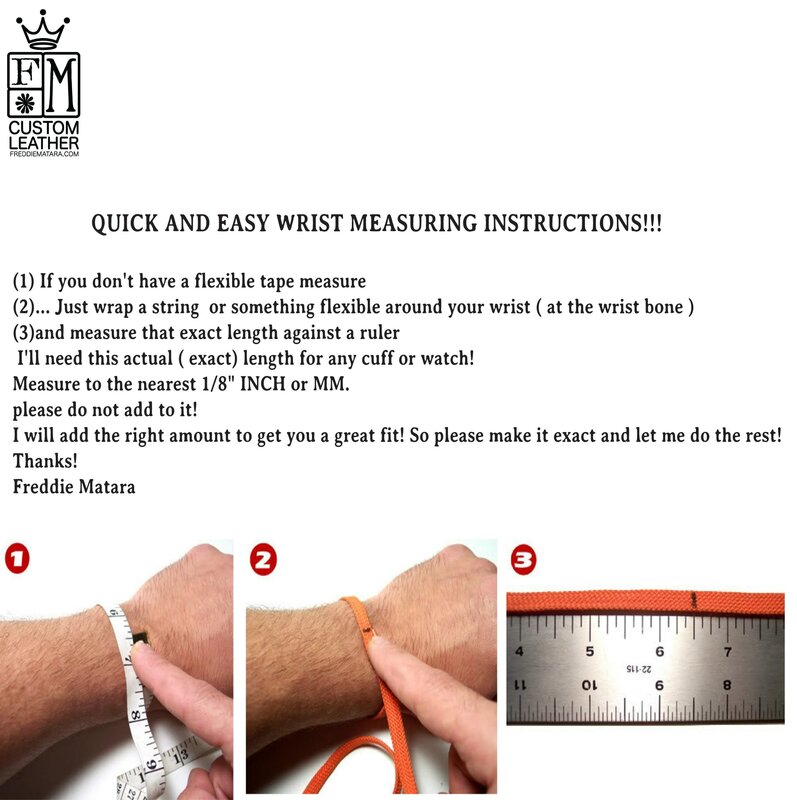 I'll need your wrist size for this cuff! Instruction in the pics. Can size for men or women.